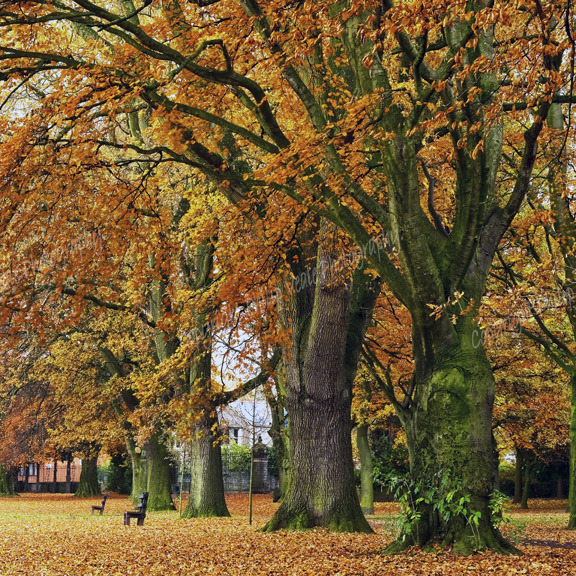 Philip Veale Photography: Autumn, Bailey Park Abergavenny. Limited Edition of 100. Autumn, Bailey Park Abergavenny. Limited Edition of 100. The golden shades of autumn cover the ground around the tree lined avenue in Bailey Park, Abergavenny. Print only, Size 16" x 16" including border.